Wool Classics is thrilled to announce the launch of the Mulier Collection designed by Jules Brinton and available from stock for next day delivery. The Mulier Collection was designed by Jules Brinton and attempts to embody everything feminine and soft within a home. Mulier translates from Latin as woman and is derived from the other Latin word Mollior meaning softer. 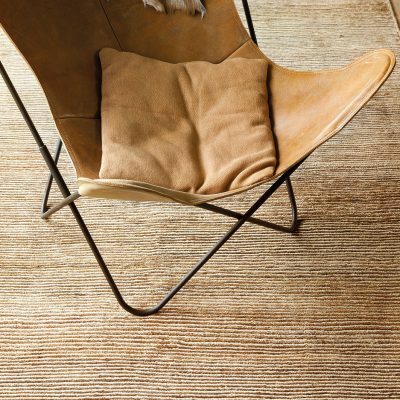 This collection has developed new yarn blends to achieve the ultimate in softness, creating a rug for close skin contact. Whilst these rugs will tolerate a lovely pair of Jimmy Choos, we recommend that you slip them off and enjoy the sensual feel of a really soft rug underfoot. Each rug in the Mulier Collection was designed individually with nothing more than a brief to be soft and feminine resulting in an eclectic range of stunning hand knotted rugs in a wonderful array of colour. As a result each rug has its own character bringing personality to your interior. Designer Jules Brinton says he was inspired by many of the wonderful women in his life, each unique and special. It was a real privilege to design a collection with such an open brief, purely being feminine and soft, yet having strength of character and bold courage. I am surrounded by so many inspiration women, each bringing a unique joy to my life so I wanted to recreate that feeling within the design of the rug. Some designs are full of colour while others are full of texture, neither being better then the other, just different and unique.